A heartwarming story has emerged following the safe rescue of 12 young soccer players and their coach from a flooded cave in Northern Thailand. The British diver who discovered the youngsters holed up in a dark and claustrophobic chamber deep within the Tham Luang caves has found love with a local Thai nurse. Rick Stanton has been dating Siripon Bugnngern, nicknamed Amp, after meeting her just a few months ago while she was vacationing in England. The hero diver has stayed well away from the press in recent weeks after footage was released showing him and another British diver, John Volanthen, discovering the boys deep within the underwater maze. Amazingly, Amp is from Chiang Rai, northern Thailand, which is very close to where the Wild Boar football team went missing at the end of last month. When Stanton, an expert cave diver, was called up by Thai authorities to help locate the team, Amp offered to use her bilingual skills to help translate communications between the Thai and British rescuers. Arriving back at London Heathrow airport Friday morning, Stanton talked of the staggering complexity and vastness of the perilous rescue operation. Fellow British diver John Volanthen insisted that he was not a hero, but that the rescue operation was something of a heroic joint effort. 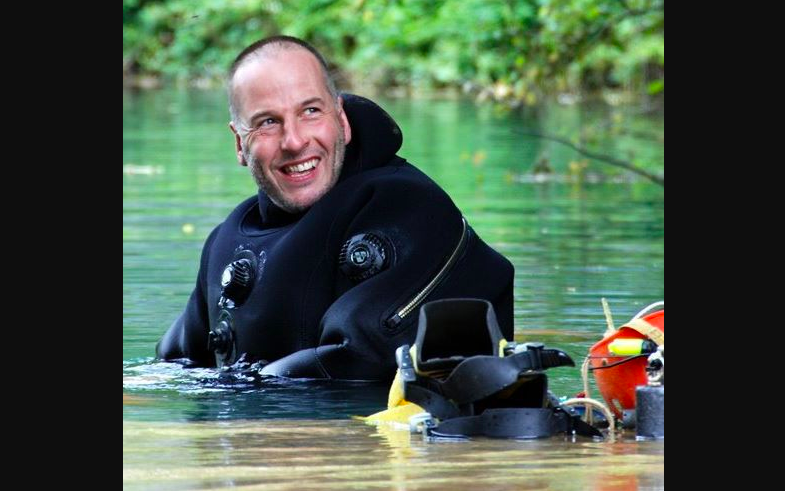 British divers Mr. Jason Mallinson and Mr. John Volanthen awarded free flights from Thailand for life. There have been calls for the British to be honoured and knighted. Humanity at its best. ???? ?